32 clubs attended the European Cups for clubs this week-end in Frameries (Belgium). The organisation was fantastic with a superb hall and great facilities. At the end of the day, the Italian team of Eagles Napoli won the event as they beat SC Charleroi (Belgium) on the score of 2-1. Napoli was fielding a very strong team despite the absence of Massimo Bolognino, the former world champion and team captain, who is currently suspended by the Italian association. 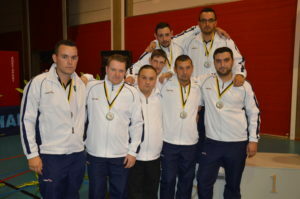 Nikos Beis, Massimiliano Nastasi, Luigi and Marco Di Vito played the final with the support of their clubmates Raffaele Di Vito and Alan Collins. 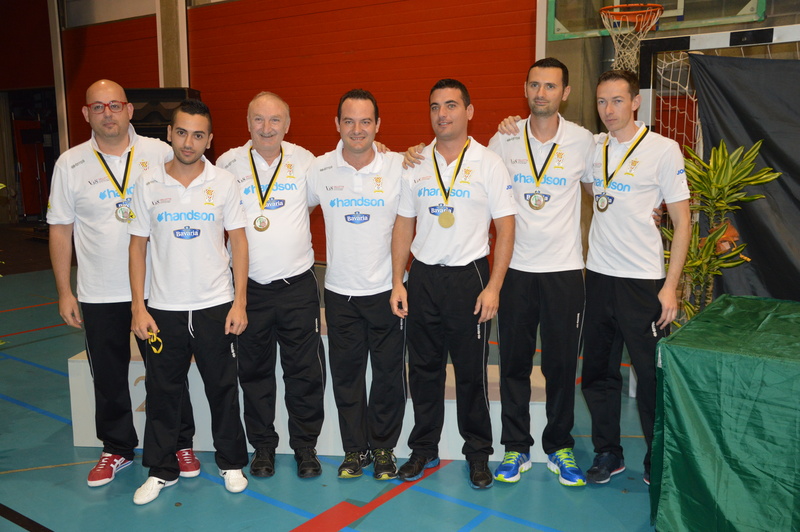 Congratulations to Napoli, a club that won the European cup five years ago in Tournai, in Belgium! 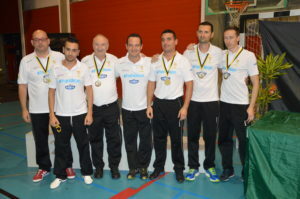 This entry was posted in FISTF News and tagged Belgium, Europa Cup, Italy, Results. Bookmark the permalink.